EZBlocks allows you to keep track of and reward players based on how many blocks they mine per tool and globally. This plugin is fully configurable and is pretty easy to setup! View how many blocks you have broken. Display the EZBlocks commands available to you. View how many blocks another player has broken. Set a players block broken amount to a specific number. View an example configuration here! This plugin also has an API and is used in many plugins to display players blocks broken! If my plugins have helped your server and you would like to donate, Click the button below! Mr_lonely132, Minimalistic, tozyyy and 5 others like this. Great plugins, but can you add version 1.8 support. Please ! Please ! 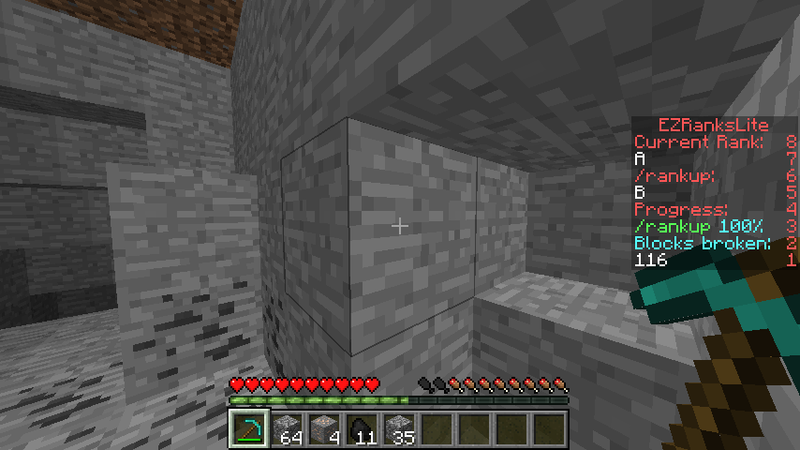 Good, but i really want to have a placeholder that when u type /blocks instead of 1000 blocks will display 1k. Really great plugin, however, I'm experiencing some slight issues. 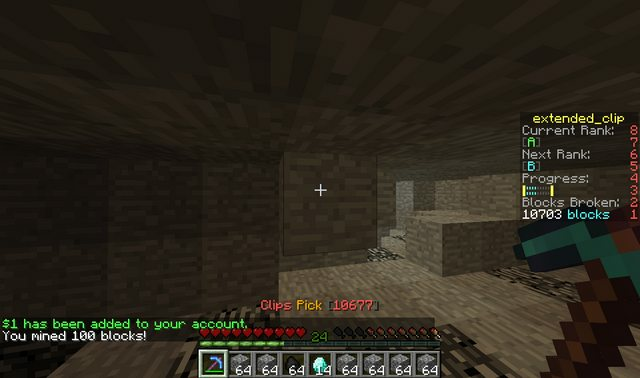 Blocks aren't always counted... there have been times where players are mining and blocks are not counted entirely (on their pickaxe counter), and times where the counts are just inaccurate. Would help if he added specific Worldguard support so that this plugin clashes less with other plugins. But not bad overall. when i have install that my blocks automatic into my inventory going it doesnt work anymore... can someone help?